MPC's Deaf Minstry team reaches out to the Deaf community to provide them resources to worship Christ. The team sponsors an American Sign Language interpreter for the 9:00 worship service and arranges for them whenever possible at church events. Moorpark Presbyterian Church supports our Military and their families. We have a "Military Families Support Group" (MFSG) in continual prayer for them. Our church is committed to being there for our Military Men and Women as they are for our country. We are proud of them and Praise God for them. Please get info HERE. We offer a variety of opportunities to care for one another here at MPC. Please contact Pastor Jennifer or the Deacons. For more info, Contact Pastor Jennifer at JenniferW@MPCLife.org or call the office at (805) 529-8422.. There are many ways to serve our church and community. 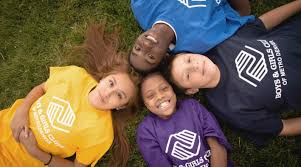 We are currently searching for volunteers to help at the Boys and Girls Club of Moorpark. If you would like to find out how you can be of service, please contact Vera Rhimes or call our church office at 805-529-8422. Please CLICK HERE to donate to MPC.